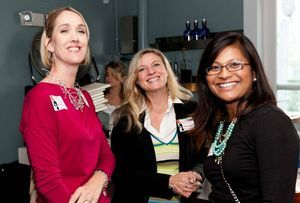 BDN Contra Costa is a dynamic group of women who are committed to building their businesses and supporting each other. Our meetings offer members an opportunity to network with other local businesswomen, learn about and exchange ideas for growing their businesses, and share resources. We welcome a variety of businesses in Contra Costa County. BDN Contra Costa meets the 2nd and 4th Thursday of each month. We invite you to visit us. The mission of BDN Contra Costa is to expand members' businesses and optimize business performance through the exchange of best practices, resources and referrals in a collaborative and non-competitive environment. A community of other small business owners who are committed to building their businesses and yours as well. Bi-Monthly meetings where "best practices" ideas are exchanged and generated. Networking opportunities with other businesswomen who are truly interested in helping you find your ideal customer or client. A sounding board for the growth of your business. "The relationships that I have developed at BDN have been invaluable to growing my business." "BDN is a great forum for exchanging business strategies, resources and leads." "BDN is fun, low key and effective! It's different than most networking groups because it's the relationships you develop with members that result in the ongoing exchange of referrals." Women in Business. Networking. Sharing Resources. Exchanging Ideas. Supporting Each Other.